Time to organize for a new year. Studio is almost clean – jacket and coat almost done. Cleaned out some of my quilting magazines and decided to drop 2 of them (the county Library was happy to have the free bin filled up with 2 good size boxes of magazines. On to other things. 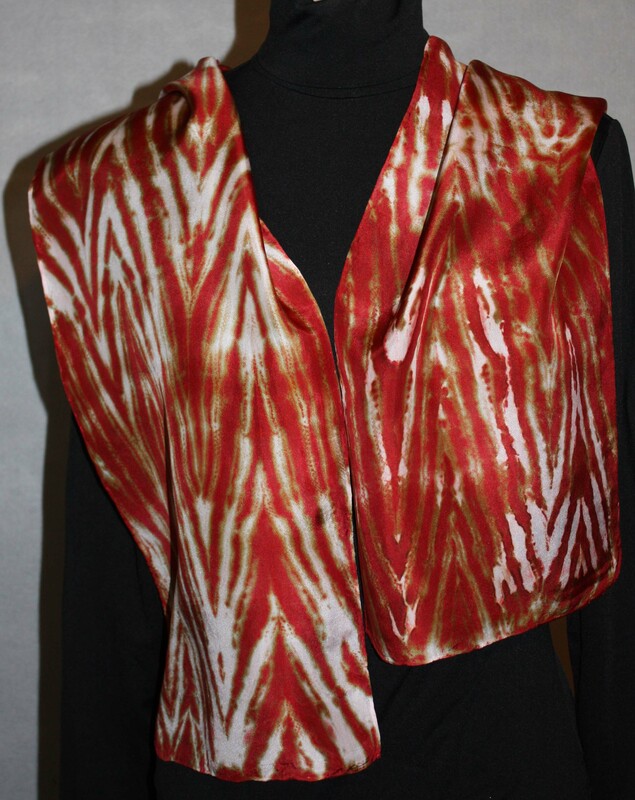 I have been making Shobori Pole Dyed silk, silk chiffon and wool-silk scarves – gave a number of them as Christmas gifts but love the process and the unexpected results. Colors and patterns are always such a surprise. The process is easy but does take time and in the cold winters I have to cure them upstairs in the diningroom – the dog loves checking out all the plastic garbage bags. The scarf on the left is done with rust dye and the fabric took grey and red brown – 14″x70″. 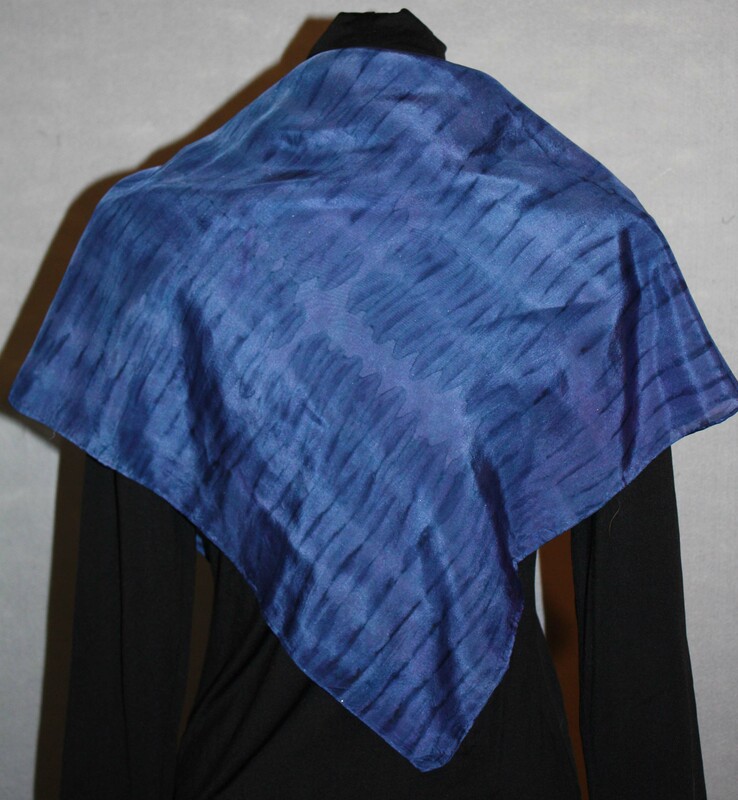 The blue scarf was done with a basic blue and is 36:x36″. Both were folded, stitched and wrapped on the pole then dye painted. I plan to spend more time in the studio this year and produce a couple of ideas that have been sitting around in my head. We had a great snow storm that put us on the top of our hill for 3 days before we could get out but on the day without power cleaned out closets and bag up for hospice so it was not a fully wasted 15 hours. It stayed around 21 degrees which in California is cold.